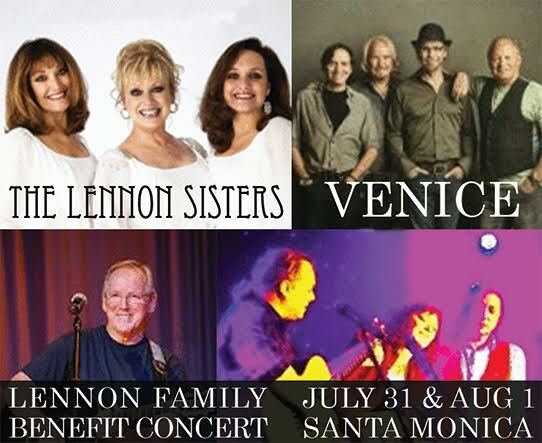 You’re invited to join VENICE the Band, The Lennon Sisters, The Lennon Brothers and Gail Lennon, the Lennon/Catchcart Trio, Tom Lennon, Jackie & Tim Lennon (and then some!) 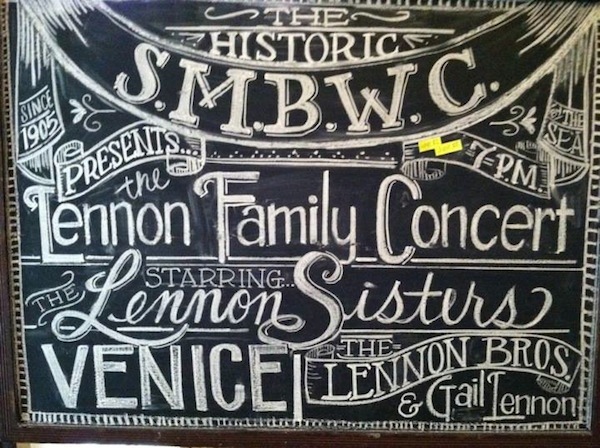 at the Santa Monica Bay Woman’s Club on July 31/August 1 for a night of music, music, music. There’ll be a whole lot of singin’ goin’ on. Trust us, you do not want to miss this!! This year also celebrates the Lennon Sisters’ 60th year in show business as well as the 100th anniversary of the Women’s Club. Tickets are on sale NOW at Brown Paper Tickets. For more information, contact Virginia Lennon at lennonfamilybenefit@gmail.com. A donation to the Santa Monica Bay Woman’s Club. Be there or be nowhere ’cause this is the place to be!